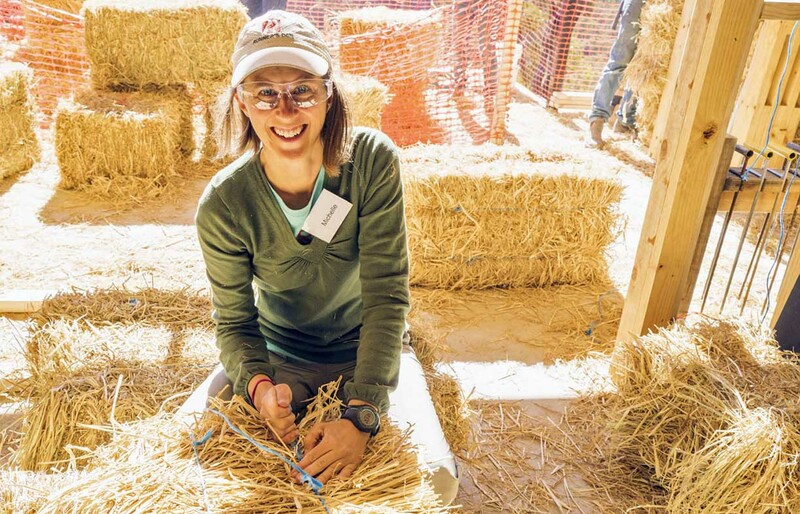 You’re unlikely to go from building newbie to strawbale expert after a four-day workshop, but you should come out with basic skills, a better understanding of the process and the ‘right’ questions to ask. Enga Lokey explains. There are many good reasons to choose to build with strawbales—better thermal performance, non-toxic material, agricultural waste product, low embodied energy, very high levels of insulation, beautiful curved walls, etc. But once you have made this decision, it may be difficult to find an architect, engineer and builder to provide the assistance you require in working with this unique medium. 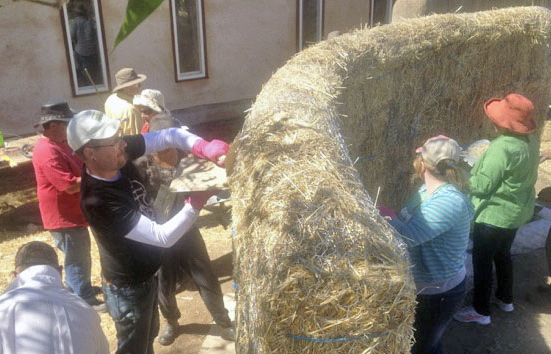 One of the best ways to give yourself the knowledge and skills necessary for a successful build is to do a strawbale workshop. 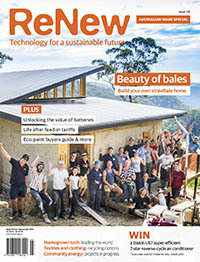 If you have no prior architectural or building experience, a workshop won’t prepare you to undertake your own project from start to finish unassisted; however, you will be able to gain enough understanding to ask the right questions of the professionals you choose to employ and also gain basic strawbale building skills yourself. What should you look for and what should you expect from a workshop? At the most basic level, participation in a workshop should provide you with enough of an understanding of what you are getting yourself into to confirm your convictions or prompt a reconsideration of your building plans. 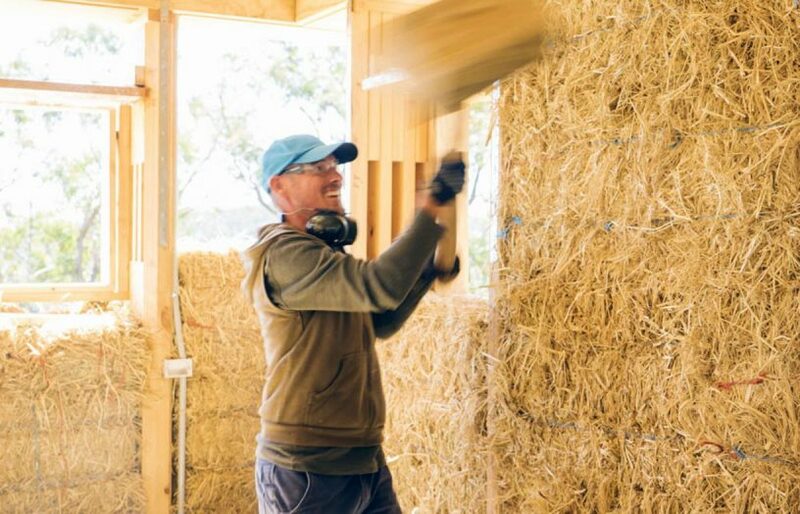 Additionally, most workshops will give you hands-on experience with some of the unique aspects of building with bales, such as alternative framing techniques, bale tying, stacking walls and corners, prepping for render and rendering. There is a huge variety in the offerings available. Before signing up for a workshop, ask yourself what you are looking to achieve and what level of participation you plan on having in your own project. The more you expect to do yourself on your own house, the more detailed and precise your level of understanding needs to be. Are you just interested in understanding the process so you can decide if this is the type of house you want to build? Are you interested in the theory and principles of good strawbale design? Do you want to participate in every aspect of the building process or just help with the bale walls and rendering? Asking yourself these questions will make it easier to pick the correct one. Some of the major differences between courses are discussed below, followed by a chart that tries to summarise the various options on offer. One initially thinks of a strawbale workshop as something that is done in person, and that is the most common approach; however, there are also at least two excellent sources of extensive online and DVD instruction (listed in table). One advantage of an online course is that there is opportunity for plenty of theory and the demonstrations are best-case examples. There is also opportunity to pause, rewind or review anything that wasn’t clear and to refer back to it when needed during your building process. With this in mind, if you do an in-person workshop, I would suggest taking lots of pictures and notes for later reference. It is amazing how much of the specifics you will have forgotten after a few months. The proportion of theory to practical hands-on skills training can vary considerably. Workshops that call themselves ‘courses’ tend to be more theory and the hands-on component is often working on something specifically for the course, while ‘wall-raising’ workshops may have almost no theory and participants will work on a real building. 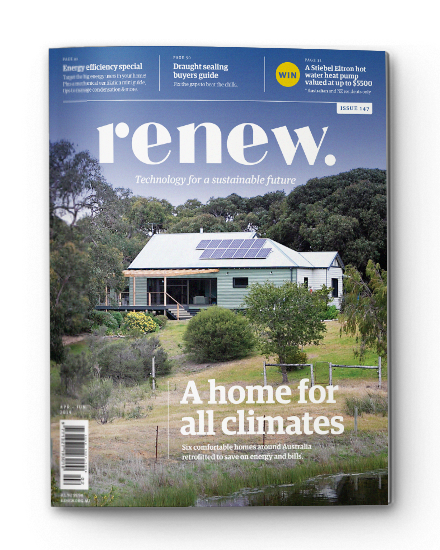 Many workshops incorporate some general design principles that would apply to any well-built sustainable home (proper orientation, air tightness, insulation, etc), but are not always part of a mainstream house (hopefully concepts that are well understood by Renew readers). Educational structure or real home? 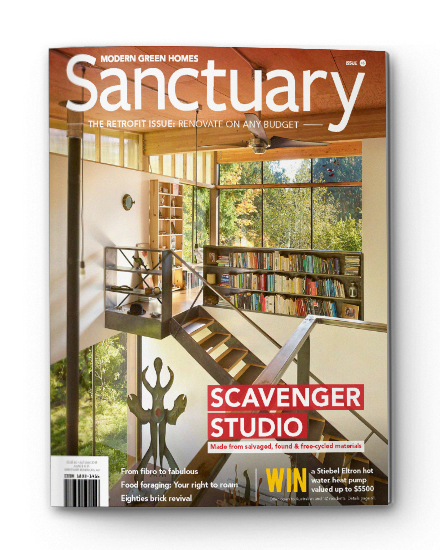 Some would argue that it is better educationally to build a simple wall designed specifically for the workshop (possibly deconstructed afterwards), while others see the value in working on a real strawbale home. Certainly, the sense of satisfaction, inspiration and camaraderie achieved when building a real home is much greater. However, this has the increased challenge and pressure of having to finish each stage before moving on to the next, which can be frustrating if things get bogged down or a glitch is encountered. If a specific aspect of the building process is important to you, confirm that issue is covered with sufficient time and in sufficient depth. The range of workshop costs is huge. The least expensive are free in exchange for labour; these generally don’t provide much instruction but do offer hands-on experience. The most expensive offer a well-structured learning progression, often on a real structure, with sufficient opportunity for discussion and practice. Additionally, some courses include opportunity for camping on-site and meals. When comparing costs, be aware of exactly what is included. Everyone I spoke to after doing a workshop raved about the experience. 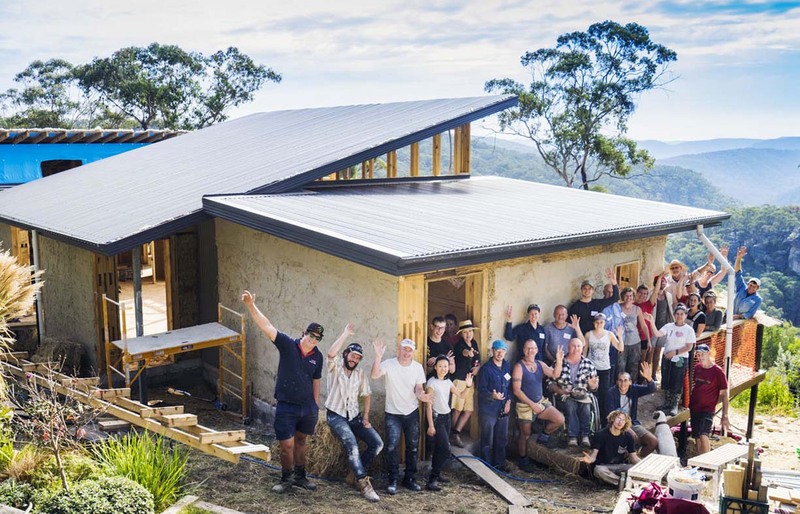 Most left more inspired than ever by the beautiful medium, while the odd one or two were forced to question if they were up to the task of building their own strawbale home. The single most consistent comments from workshop participants are that they had a great time, learned more than they could have imagined and made new friends. There is nothing like getting dirty and working hard on a common project to bring people together. In this modern fast-paced, overscheduled world we live in, many of us don’t get a chance to do this often enough. In addition to being just plain fun, a workshop can also be a chance to get to know people in your area who may be a resource for your future project! Why might you want to do more than one workshop? If you have read many strawbale building books, you will have noticed how different the advice is from one author to another (some may be outdated; I’d suggest that you look for consistencies in advice from different sources and don’t go back further than mid-1990s for more than pretty pictures). The same will be true of the builders running workshops. If you are someone who wants to know all of the options before choosing a course of action, you might want to attend several workshops to see the many different ways of achieving the same result. You might also start with an online course that is mostly theoretical and demonstration and then follow it with 100% hands-on training. The more you can educate yourself before you begin your own home, the better. Of course, at some point, you will need to accept that you probably don’t have all the answers, but you have enough and it is time to go forward with your own project. So what about the other side of the workshop coin? At first glance, it sounds great to have lots of free labour to build your house, and it definitely can be, but it does not happen without its own challenges. If you are considering having your building project be the site of a workshop, make sure you understand exactly what your responsibilities are (such as liability insurance, tools, food, accommodation etc) . Also clarify the priorities of the instructor. Is their priority to get the highest quality outcome for your home or to move quickly to give the participants the most in-depth educational experience? Keep in mind that you will have novices working on your house and someone else overseeing the activities and pace of progress. You may need to make a much bigger investment in tools and equipment in order to accommodate so many active workers. Where do I find a workshop? We have contacted everyone we could find in Australia and New Zealand who offer strawbale workshops and listed them in this table. Some specific details are included for those that provided them. Additionally, Ausbale is an excellent resource and is usually up-to-date with workshop offerings around the country. If you just want to drop in on some building or rendering, you may also find listings on this site. Just remember that no matter how huge a task you imagine building a strawbale house will be, the reality will dwarf your expectations. However, the sense of pride and satisfaction of creating a beautiful, comfortable, non-toxic, environmentally sensitive space will quickly outweigh all the stress and challenges involved in achieving your dream. Enga Lokey is enthusiastic about energy-efficient and environmentally friendly building, and is a member of Ausbale. 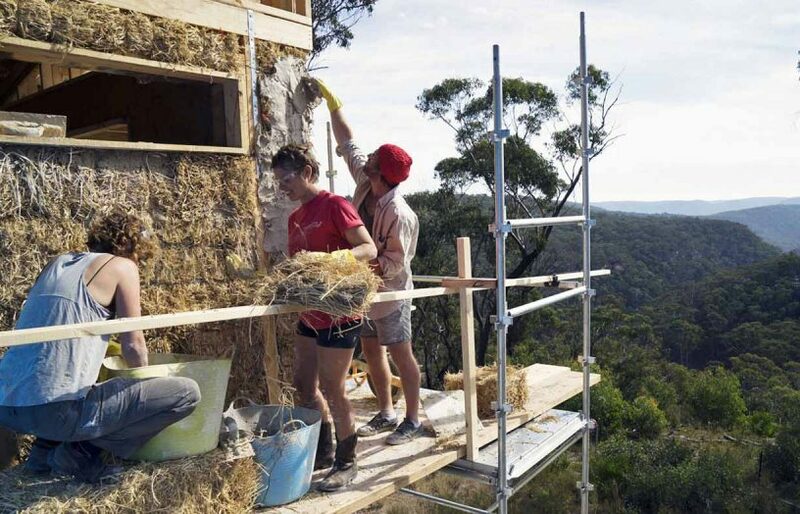 She is currently completing her own strawbale home in Western Victoria.